2 down, 2 more to go! I so look forward to the weekend. Even if I don’t have plans, I just like to relax and do things at my own leisure. Not too much is going on, but it’s still early! 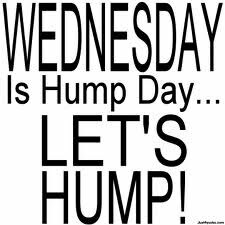 Have a Happy Hump Day!